You might want to double check that with your preferred retailer. I know that Prymaxe states they will not accept returns on this item. Pulled some oldies out to play yesterday. 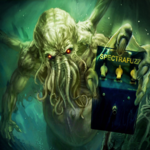 The Castedine is a MKIII, the greatest fuzz on earth! The battery finally died in the SHO and the foot switch is going bad on the '66. A good day was had by all.